Creating attention-grabbing and memorable media events is a critical part of managing media relations and publicity. Reporters are looking for partners that are a reliable source of interesting stories or can serve as useful sources on pieces they need to write. We position you as those sources! 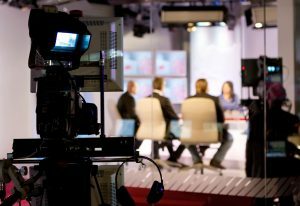 Because reporters are busy looking for the next best thing and they’re bombarded by other businesses looking for media attention, we take a customized, unique approach to getting your business in front of them. Our emphasis is on an aggressive—persistent—but friendly outreach to the reporters that are covering the markets or industries relevant to your business. Each event and pitch is crafted to match your company’s personality. We represent your company authentically and give the press the opportunity to get to know the real you! Our approach is straightforward. We believe in engaging with the media consistently. By staying in front of them, we help your company build a relationship with them. It makes your PR success less reliant on “lucky shots” and delivers consistent coverage. While we might shoot to get you an interview with the Today Show as a stretch goal, we’ll make sure that you get as many wins as possible over time.